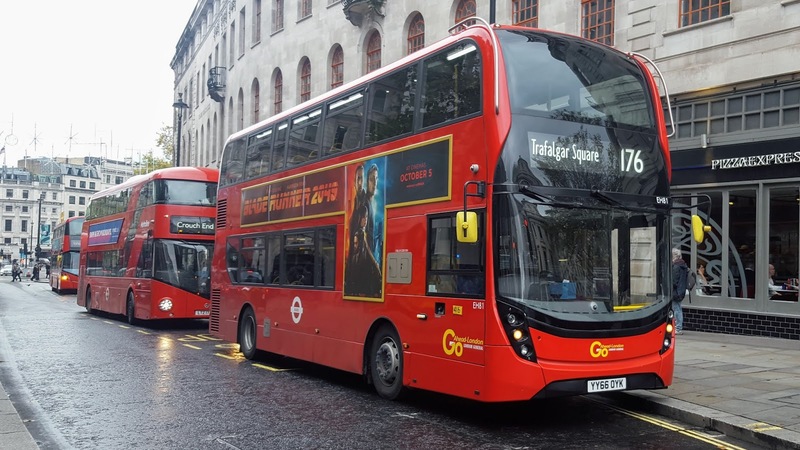 2017 has been a noisy year for Go Ahead London, with many new routes being welcomed to the company while many long standing routes have moved on the pastures anew. 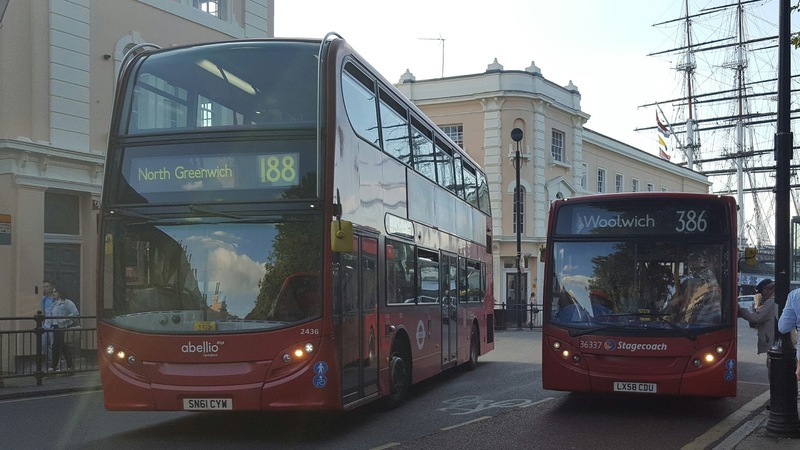 The last round of tenders for this year involves the company once again, with route 45 moving out from Camberwell (Q) to its new home with Abellio at Walworth (WL) while route 176 came over to Camberwell (Q) from Arriva along with the 188 which went to Morden Wharf (MG) from Abellio. Route 18 also changed operator on this day but information on that change will follow in an upcoming post! Before moving onto the details about the operator change let me go through some information about all the routes involved. Route 45 was operated by Go Ahead London from Camberwell (Q). 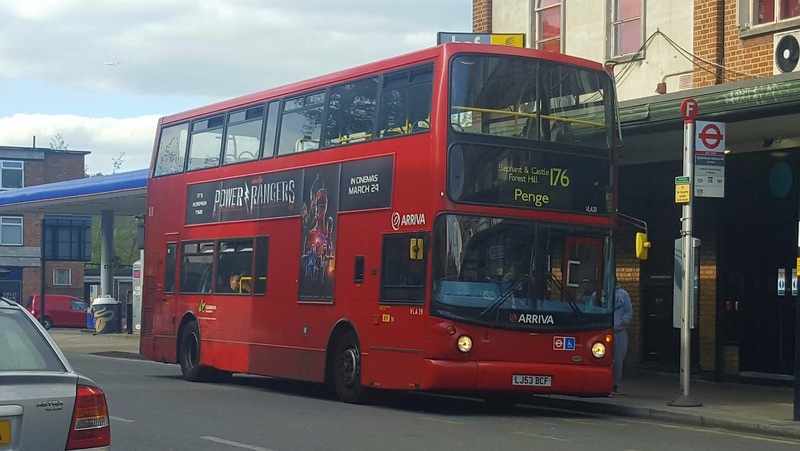 During its final few years at Camberwell (Q) it was allocated with Plaxton President bodied Volvo B7TL buses, known as PVLs. The route was introduced in 1950 as a replacement route for withdrawn tram route 34 running between Farringdon and Battersea. 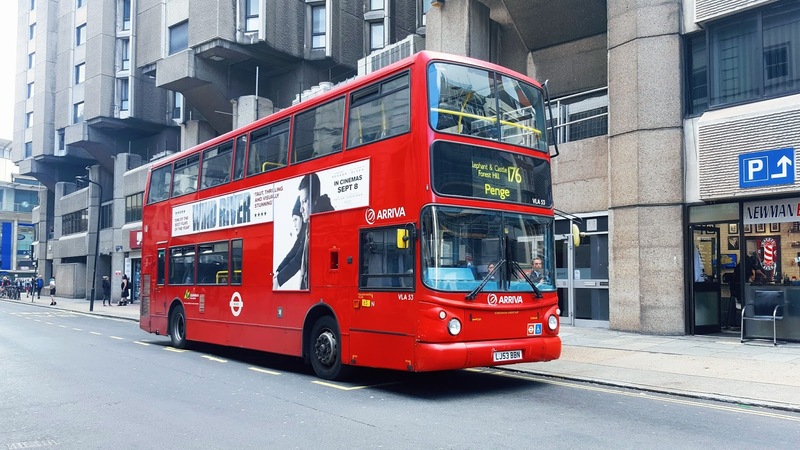 However the route has been subject to many route alterations and changes over the past 60+ years, at one point being a South Kensington to Archway via Clapham Junction route. Today's route route is just a shadow in comparison operating between Clapham Park and King's Cross running via Brixton, Elephant & Castle and Blackfriars Bridge. 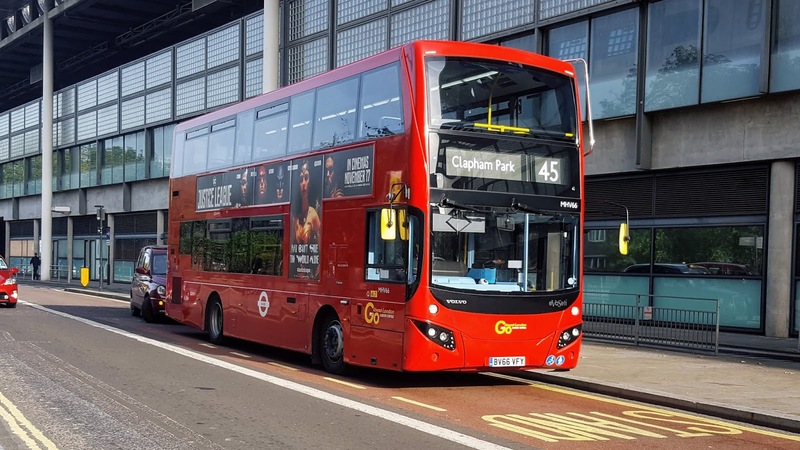 For the final week and a half of operation under Go Ahead route 45 was unable to use its allocated PVLs due to the implementation of the new green bus corridor between Brixton and Streatham. Therefore the PVLs were withdrawn around two weeks before the 45s loss and Euro6 Hybrids were used on the route. This came in the form of MCV Evosetis (borrowed from routes 35, 40 and 185), E40H MMCs (from routes 35, 40, 42 as well as some 67reg examples intended for the 176) and Wright Eclipse Gemini 3s (borrowed from route 1 as well as examples intended for the 176) leading to the unusual sight of a route soon to be lost being full of pretty new buses. However despite the loss of the 45, Go Ahead still had two routes coming in to keep them busy. Filling in the space left at Camberwell (Q) was route 176 which had come over from Arriva. Arriva operated this route from their Norwood (N) garage and like route 45 it was also allocated with B7TL buses, however they were on an ALX400 body and known as VLAs. The route operates between Penge and Tottenham Court Road. The route was born in 1951 originally running as a Victoria Embankment to Catford bus route. Since then the route has had a lot of changes, during the mid-1960s the route even spanned as a Willesden Bus Garage to Lewisham route running via Catford. In 1990 the route had changed into an Oxford Circus/Aldwych to Penge route, similar to the route today. In 1994 the route was made to serve Oxford Circus at all times, however around 2008 the route was cut back to Tottenham Court Road station leading to today's route. Despite the 176 having a PVR of 26 buses, Go Ahead only ordered 9 buses for it in the form of Enviro400 MMC bodied E40Hs numbered EH162-EH170. The rest of the PVR was expected to be made from PVR reductions on other routes which were allocated Euro6 Hybrid buses. These were assumed to be predominantly buses from reductions on routes 14 and 74 at Putney (AF). 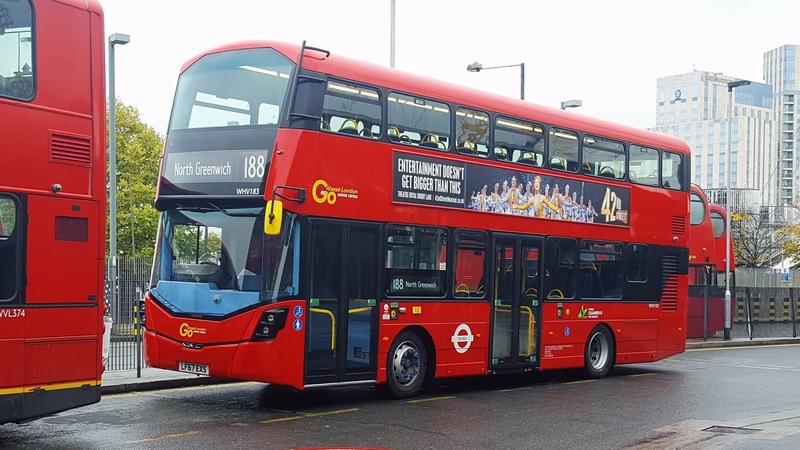 However with just days before the contract some of the buses which were expected to make up part of the allocation of the 176 were at Barking (RR) on the 5. However some Wright Eclipse Gemini 3 buses did manage to make their way to Camberwell (Q). During the last few days of Arriva operation the route has remained predominantly filled with its allocated VLA buses. These buses are expected to leave Norwood (N) following the loss of the 176. The final route which will be covered in this post is route 188. This route went the opposite direction to the 45, going from Abellio to Go Ahead London. 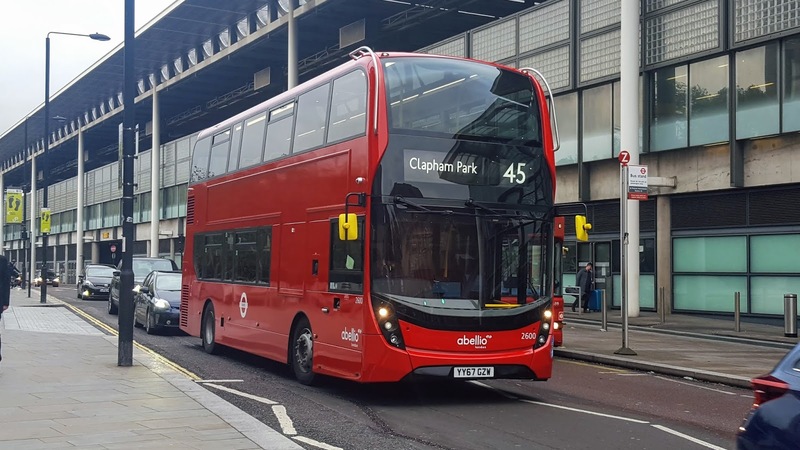 Prior to its move the route was allocated to Walworth (WL) and allocated with Wright Eclipse Gemini bodied Volvo B7TL buses supplemented by a few Enviro400 bodied E40H buses. However in practice the route ended up using whatever was left in the garage. 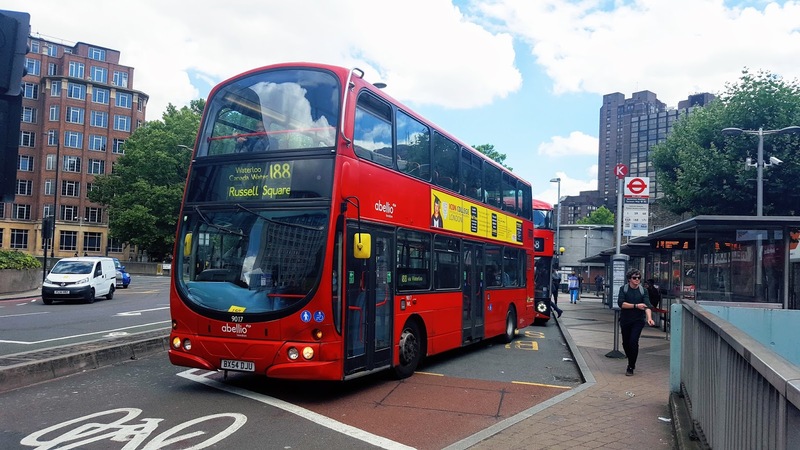 This route was introduced at a similar to to the 45 and 176, starting services in 1951 as a Chalk Farm to Cutty Sark route. In the 1960s the route started to be cut for its northern sector leading to it only running into Central London as far as Euston. During the 80s there was a short extension to King's Cross but this didn't last long and the route got cut back to Euston a few years later. 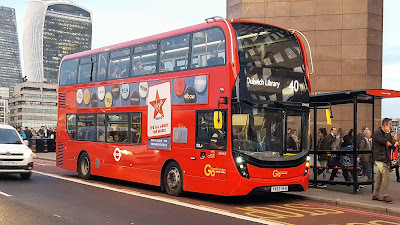 In May 1999 the route was extended from Greenwich to North Greenwich Station to co-incide with the opening of the Jubilee Line extension as well as the Millennium Dome (now known as the O2 Arena). Later in 1999 the route was cut from Euston to Russell Square, forming the route that we all know today. Travel London (later Abellio) won the route from Go Ahead London in 2005 and introduced Wright Eclipse Gemini bodied Volvo B7TL buses, which remained the staple allocation of the route through most of its time with the company. In 2011 a partial allocation of Hybrids were introduced in the form of Enviro400 bodied E40H buses. Although the route was often filled with a variety of bus types. When Go Ahead won the route from Abellio in early 2017, there was some speculation as to where the route would go. However it was later revealed that a brand new garage would be taking the route, known as Morden Wharf (MG) located near the Blackwall Tunnel. 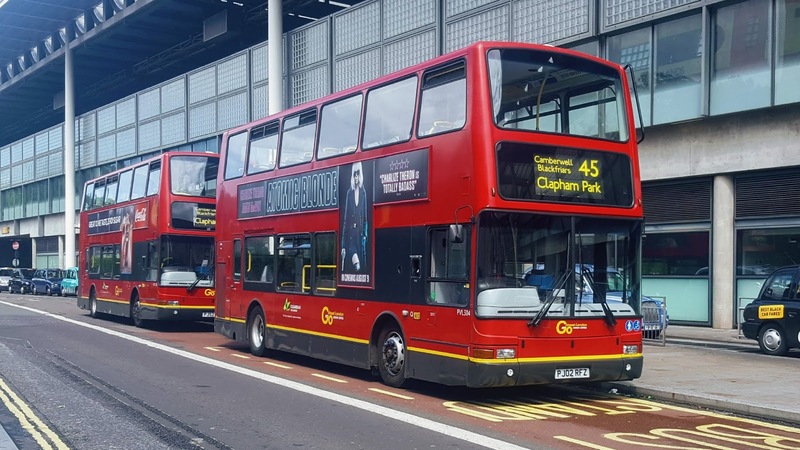 On the 11th of November routes 45, 176 and 188 all moved to their new operators. 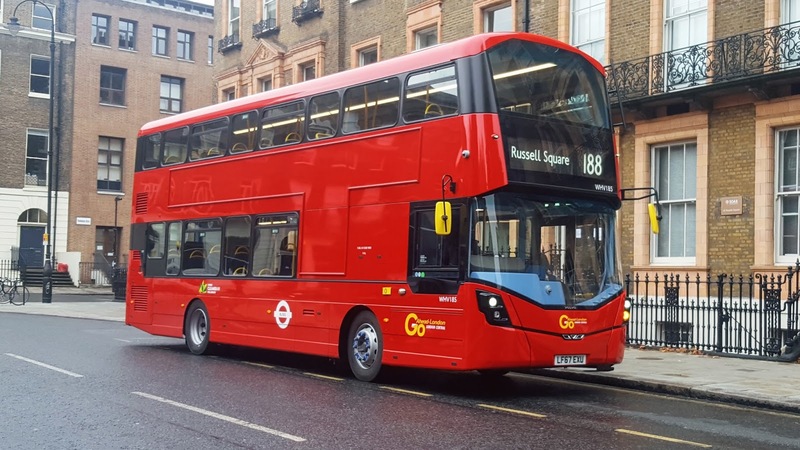 Go Ahead took over the service of the 176 and 188 just after midnight, while Abellio took on the 45 in the early hours of the morning. I went out to see how the three routes were performing on their first day under their new operators. With route 188 being the closest, it was the first route I went to investigate. Upon arrival at Greenwich WHV183 was sitting on stand, and after about a 10 minute wait it finally turned up at its first stop, curtailed to Aldwych. We set off towards Greenwich Town Centre, unlike all the other routes at North Greenwich route 188 doesn't use the Pilot Busway, instead it uses Millennium Way, taking it to Blackwall Lane and then onto Trafalgar Road towards Greenwich Town Centre. However while my bus was on Trafalgar Road the gearbox started to showcase some of its issues, struggling to get the bus to actually move anywhere despite revving like there was no tomorrow. We eventually reached Surrey Quays, where the route was on diversion around the shopping centre due to roadworks. We went through Canada Water Bus Station before moving onto the infamous Jamaica Road. 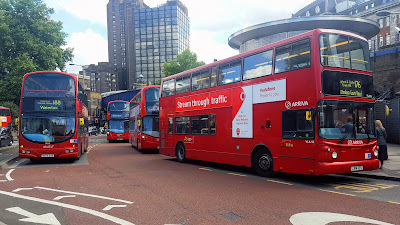 Not long after we made it onto Old Kent Road, to be met by an angry man boarding complaining how there had not been a bus for 'a very long time' and that he needed to get to Russell Square but this bus was turned. Nonetheless he boarded and we went through Elephant & Castle and past Waterloo to be met with the standstill traffic on Waterloo Bridge. 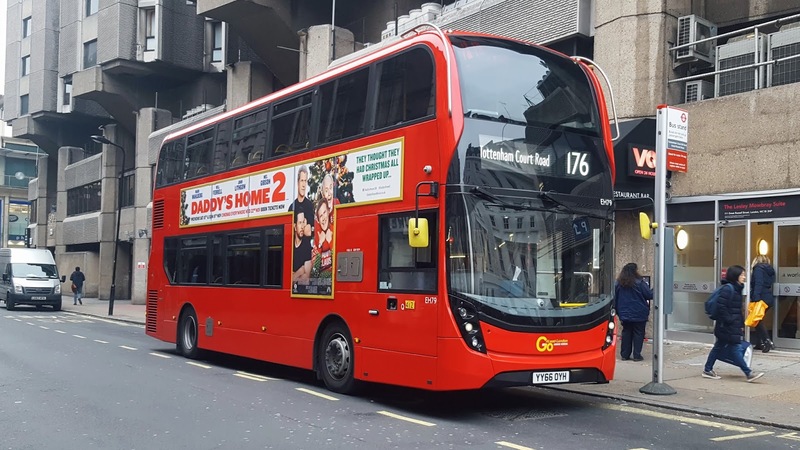 Upon arrival at Aldwych the driver was unaware about where he should actually let everyone off, however when he phoned the controller at the other end she was seemingly unaware the bus was turned at all, and therefore the driver was instructed to continue driving to Russell Square. The driver changed the blinds and it wasn't long until we were at Russell Square. 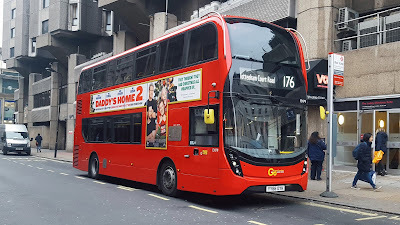 I then made my way from Russell Square to Tottenham Court Road to sample the 176, however upon arrival at Tottenham Court Road Station there was no 176 in sight nor there was one due for over 30 minutes. A quick look online showed the Lord Mayor's show was leading to the route being curtailed at Trafalgar Square. Nonetheless I did head to Trafalgar Square to investigate how the route was doing and was met with a Wright Eclipse Gemini 3 on stand. There was no point of even attempting to have a ride on the route with it crippled in terms of operation by the Lord Mayor's show, so I just took a few pictures of the route then left to have a ride on route 45. However that also didn't end up going to plan, upon arrival at St Pancras International there wasn't a 45 due for a while, one eventually rocked up 10 minutes later but didn't spend any time on stand and left straight away. Another one turned up, but by this point I really wasn't in the mood to have a ride on the route as no doubt the ride would be slow and painful due to the traffic caused by all the diversions. Therefore I left to do other things, on the way back home I did make a stop back at Waterloo to see how the routes were doing, and I was greeted by a 45, which doesn't even serve Waterloo so it was probably a wise decision to not bother with the route that day! 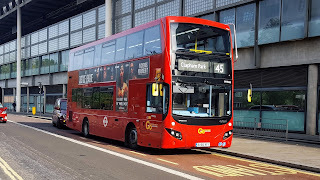 I went out again on Monday morning to see how all the 45 and 176 were doing, I could only manage a short ride on either route due to the time I had available. I took the Jubilee Line to Southwark Station where I could hitch a ride on the 45 to Camberwell where I could get the 176 back into Central London. However immense traffic in Central London, and a gap in the 45s service meant I had to cut the trip short after just a few stops at Elephant & Castle. 2596 was going to be my bus, the bus itself was pleasant. Upon boarding I was welcomed by the famous 'new bus smell'. The bus was nice and warm and the iBus speakers were set at just the correct volume - not too quiet but not booming loud either. It was everything you could ask for in a bus, even if it was just a few stops! Upon alighting at Elephant & Castle I crossed the road and made my way to the 176s bus stop. It wasn't long until EH83 turned up, a bus perviously used at Putney (AF) on the 14, Stockwell (SW) on the 118 and Barking (RR) on the 5. Therefore it did not have the 'New Bus Smell' and was a bit more tired than the buses that were on the 45 and 188. We set off towards Tottenham Court Road, going past St George's Circus and then down Waterloo Road towards Central London. Route 176 uses a pretty unique routing from Waterloo to Tottenham Court Road opting to run via the Strand, Trafalgar Square and Leicester Square as opposed to running via Holborn. However this unique route, although is quite nice for sightseers is not very nice for people who are running low on time. My journey was very slow along Waterloo Bridge, with the traffic along the Strand abysmal. 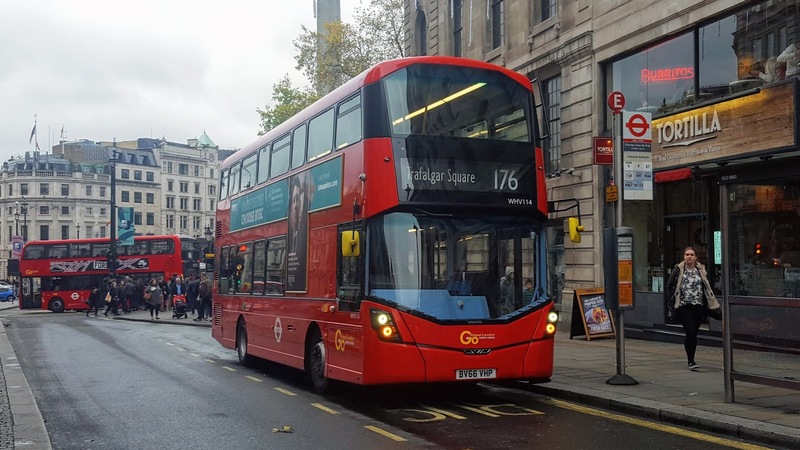 Route 176 has to do a full 360 degree round of Trafalgar Square to get from the Strand onto Charing Cross Road. However we must have spent at least 10 minutes just trying to get around the roundabout. Once we had negotiated Trafalgar Square my willpower to do the rest of the route fell off a cliff and deep into the ocean. It was almost a complete standstill. I pressed the stop bell and just got off, I knew how the rest of the route went and I'd had two occasions to sample the service Go Ahead provided. The next day on my way home I did make a stop at Tottenham Court Road station to try my luck on the route for a third time, I made my way to the stand to take a picture of a bus on stand, EH79 was on stand. However my detour to photograph a bus on stand would prove to be a mistake, EH79 left by the time I'd walked to the first stop, I checked my phone to see when the next bus due and there wasn't one for over 30 minutes. At this point I gave up with the route and went home. Overall this tendering round left a mixed bag of changes behind. Service levels of the 45, 176 and 188 are nowhere near the levels or standard the pervious operator said. However it's totally unfair to expect that in the first few days, service levels no doubt will start improving. Hopefully levels to which each route's previous operator set - or maybe even beyond the standard the previous operator set.